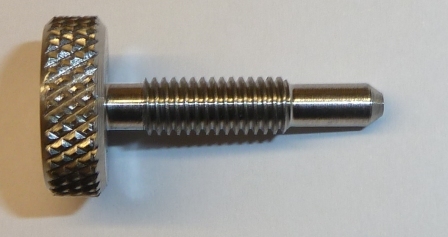 Webley Tri Pump replacement pressure bleed screw manufactured from 316 stainless steel. Fits most models of pumps. Din Adaptor for scuba bottles, 1/8" BSP female, to allow fitting of charging hose HS001. Cylinder filling service. 12L. 250 bar max. Cylinder fill above 12L. 250 bar max. 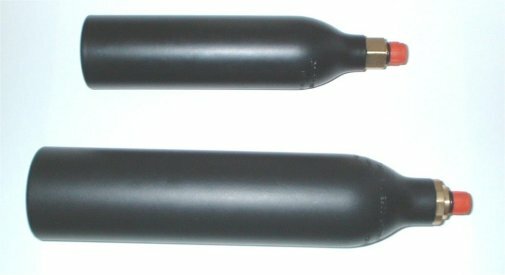 HW100 Air cylinder complete, 220mm long, Carbine, new quick fill type. UK Sales only, can only be shipped by 48 hour carrier due to Royal Mail postal restrictions. 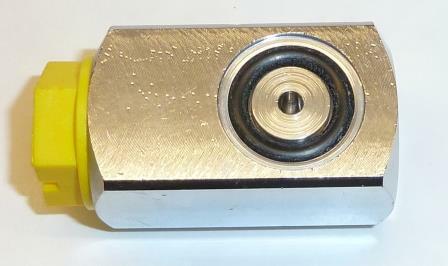 HW100 Air cylinder complete, 320mm long, new quick fill type, with gauge and filler dust plug. UK Sales only, can only be shipped by carrier due to Royal Mail postal restrictions. 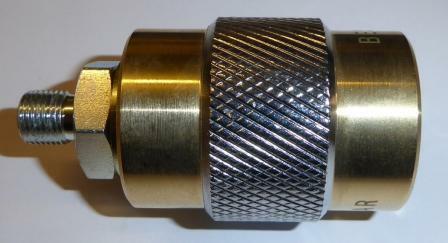 Air hose 1/8" BSP male fitting on one end and 1/8" BSP female fitting on other end. 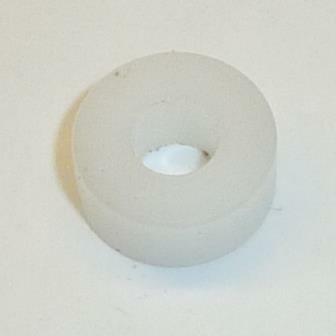 Used to connect to your pump or diving bottle. Theoben HE Hose. Supplied with adpator for use with later Theoben models and Weihrauch HW90. 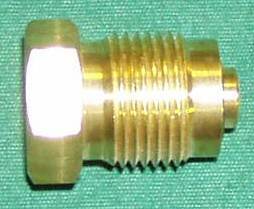 AIR HOSE 1/8" BSP DOUBLE ENDED FEMALE CONNECTOR. ONE STRAIGHT AND ONE 90 DEGREE BEND. Theoben buddy bottle cover. Screw on bright alloy cover, manufactured by Theoben which fits over the bottle thread to protect it from dirt & damage. 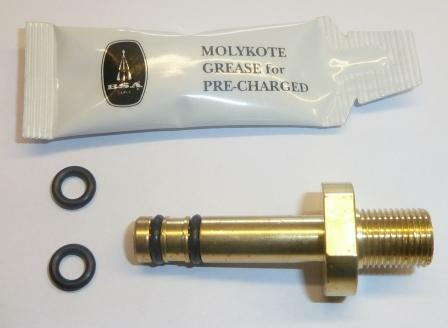 Suitable for both BSA & Theoben 1/4"BSP threads. Buddy bottle cap. Nickel plated brass screw on cover which fits neatly over the bottle thread to protect it from dirt. Suitable for both BSA & Theoben 1/4"BSP threads. Buddy bottle Scuba A clamp. Screws onto the BSA buddy bottle to allow filling from scuba equipment. 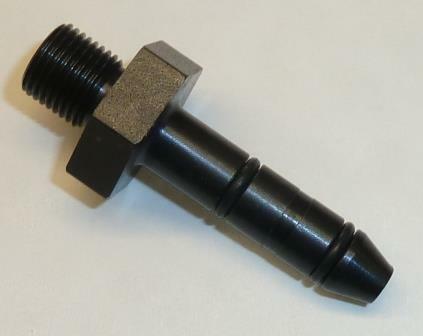 Webley filler probe for FX2000, Raider, Viper & Axsor. RWS Excalibre, RWS Rapier, Logun Axsor, Logun Mk2, Logun Gemini, Webley Raider 10, Logun Solo. 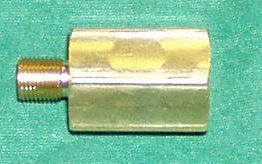 DIN female connector to 1/8" BSP male. Allows male DIN fittings to be charged from air pumps. Also used for charging the Air Arms S200T cylinder. Filler probe for the Career 707. S16 bottle filler adaptor. To 1/8" BSP. Supplied with OR158 if required.